Ideas for the Game ETS 2. Ideas to play at Truckers MP. Things are very hot from Innsbruck to Geneve. I advise anyone who comes from Brastilava, to leave the south of the city, to route to Innsbruck. There is less traffic, just be careful you have 2 stretches of many closed curves. Recommend for anyone who wants to do the 10 trips start with the longer and slightly smaller traffic. On the third day of the event it is incredibly easy to move. So who knows your strategy is to split, 5 deliveries today and 5 tomorrow. The next step is 24 for Helsinki. Berlin and Bremen will be the closest. Denmark and Sweden will be very hot on the road. I see a lot of stressed people with REPORT ... REPORT .. Remember there are beginners, it's a game only. The person did not run away from you and apologized, so he was sincere and honest. It disappeared in 3 seconds, that yes deserves your report. In the curves slow down. Wait for the arrow sign of the vehicle ahead to pass if your GPS indicates a vehicle in the opposite direction. Go over straight lines without problems. Never overtake a curved vehicle on a single highway, this avoids most accidents. Rick Wong. Yes, it's terrible. I wonder how many good people have been banned like this. Many. You record for example. You can report for "bad driving". Moderators will ban. Because they do not accept screenhoot as evidence. Others are so terrified that they even forget about screenhoot. So really. IT'S A GREAT DEFECT FOR A MULTIPLAYER, DO NOT HAVE THIS SYNCHRONIZATION. Creating random random events in your mod and during game time neutralizes random events in the game file in the random events folder. To say that there is no solution is nonsense. It's too lazy to improve multiplayer. Everything in computing has a solution. The question is time, and determination to defaze it, if you have computer knowledge. Today's Easter, plus a cowardly jihadist terrorist act in Sri Lanka. 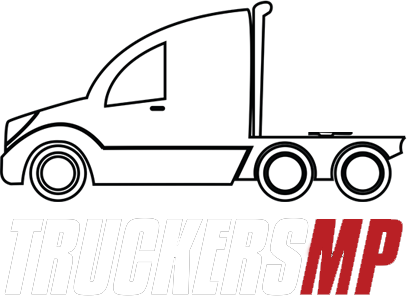 Random event synchronization may be possible if there is a separate system in the TRuckersMP MOD, and a system that temporarily replaces temporarily disables each player's random event folder when entering TRUCKERS MP. So I suppose the effect is somewhat similar to radioCB. In Truckers MP There is and in ETS2, no. That is, when logging into TruckersMP, for example have a strawberry fair on a stay near Liege. Everyone who goes there may see a farmer selling. This is a problem each having its random event, as it changes the track sometimes very fast and creates an accident. It happened to me 2 days ago! There was a random event for me and I watched a truck driver cross the barriers. For him there was not only the concrete barrier .... there was for me, and I changed sharply without collision. But many are banished by this. The player records thinking that it is an error of skill, another suffers collision, records and for him there is no barrier. Suppose the player does not know how to record. Within 3 days you will be banned, or penalized even telling the truth! This is a serious problem in multiplayer. plinio_lisboa replied to Le Cat's topic in Show your work! Um contraste muito legal, é o caminhão com a placa de combustível, alimentando caminhão e no movimento de tráfego de fundo. Ângulos das bordas das estradas capturando nuvens, caminhão fazendo curva - use o "estudo ..." Você terá outras boas fotos. A ferramenta de estúdio permite explorar, por exemplo, o trailer muito perto. Existem muitas coisas que você pode fazer. A suggestion. It is a personal experience, after watching many photos .... Avoid displaying game symbols, such as: stocking symbol: stocking stock, hold truck over symbol - stocking. Take the picture. This rule is valid for almost everything ... in game photography ETS2 and ATS, it gives the sensation of more realism. Pedagios, are difficult for good photos, look for those with characters and angles. But always have the flow of traffic in your head. Must be quick. Generally I prefer, non-automatic payment guiche. Because it has less movement. I usually do not use "study" in these places. RODOVIAS VERY BUSY TRUCK LEFT ON DECK. It's not every player who will understand you. "It's stopped on the road". When a truck happens, while trying to capture the beauty of ETS2, to publicize, attract younger. I explain in my limited English: "I from picture, Screenhoot for game." Always .. the "sorry" or something more appropriate. I use "sorry" because my language domain is minimal. And let's face it, it's a "little violation" for a good cause. Raise the community. Many players, you see. Others may not. good pictures. You're using "photo studio," that's fine. Try to explore landscapes by, just, sunrise. Low ground or track angles. Air angles. Your pictures are very good! The idea is good, but if you imagine a little with only 2 connections it will not become central as it is in the Western Mediterranean. Quickly it would fall in zone of low densidad of game. She should have 2 connections to her northern city, Olbia. Marseille and Civitavecchia near Rome. It would be realistic added to the cities of Naples and Palermo, would make SARDENHA a central point, attracting the company headquarters on a larger scale. This may not solve your problem at all. But damage on the truck or trailr contributes to the High PING. I live in Brazil, we have the same problem of you Australians being kicked by high PING. I have found that if you have a radio internet of 0.5 MB or 1 MB your PING will be loud but for us it is fairly playable at some times of our day which is practically when most Europeans are not online. We play more at dawn. Having damage in the truck or trailer above 10% the PING for us gets high and I would say that the chance to get kicked is about 70%, 80%. I now use the popular fiber optic internet plan, in theory 10MB, but at night and dawn release capacity for 50 MB and up to 80 MB sometimes. Maybe in your country has fiber optics at a good price, I recommend. Connection is more stable. But the idea and method of the Japanese makes sense on this side of the world. In fact Truckers MP should have an Asian server and another Latin American, would help a lot and increase the community, with lower PING, more people would play. Yeah, that's a great idea. I agree. Actually I believe the correct thing is to expand. EUROPE + You should have MAP PRO MODS. They, in fact, if they were a game developer, would be ahead of SCSsoftware. Your map is now 2.5 scale. That's even a BIG MAP, found it very 1.34 or even 1.35 soon! Now imagine what 2.5 is! I have some criticism of the map. Basically did not work well to Scandinavia, and did not make road SAINT PETERSBURG - MURMANSK. It is large, but leaves a lot to be desired in terms of Scandinavia. SOUTH AMERICA It should have MAPA EEAA, has Brazil, well worked only Brazil, has 500 cities of 5,000 that we own. In addition to the other countries in the same pattern of cities, in other versions. It's in version 5.0.9! https://twitter.com/mapaeaa You already see on the internet maps of Indonesia, China, Turkey, Iran also exist. GOOD options to improve server content. El MOD de invierno sólo debería utilizarse durante el invierno. A veces en el juego hay nieve. Es muy fuera de la realidad para esa época en la mayor parte de Europa. Sabemos que es muy buena, ha llevado mucho trabajo. Pero si es para formar parte de una comunidad de jugadores de simuladores el MOD de invierno y el horario de invierno deberían estar guardados en espera de la estación de invierno. Europa está en primavera, tiene lluvia. ¿Cade la Lluvia? El horario debería ser normal. Truckers MP debería estar concentrado en hacer entonces MOD de primavera, otoño, es lo que falta. Un saludo. There has to be collision. I've been a victim of players with this black box. The black box touches your truck and causes damage! Collisions usually cause damage to the 2 trucks. Players have difficulty getting out at high speed. Some VTC players who use this black box, play on other players, seek to have priority, cause damage, and follow at high speed. It's not because you're talking theoretically that things are that way. On the road, this is causing problems. Everyone gives way to them for fear of the touch of the black box. It takes up space on the road, lots of space. Strange if it is a "modified trailer" as it releases with bugs that hurt other players? If it is "bug" they should resolve first, then release. It is lesleal on the road the touch of these boxes in those who do not use these MOD'S or "BUG's" advantages. It does not seem to be a trailer replacement, it's actually bigger than the trailer, it involves the truck and the trailer, it's a box that protects the truck. MOD'S of trailers, does not have that effect. And some of this VTC, have the same trailer, without presenting the box around the truck. It did not convince me to be "modified trailer". No modified trailer feature, it's just a protective box to the truck and trailer, it's disloyal on the roads that. Many deliberately use this box to force position or even to damage others. NOT ALL OF THIS VTC, but there is yes who takes advantage of this MOD. Many players use MOD'S of trailers, but none that I see on the roads is disloyal like that. This kind of Special Transportation MOD, I never see in MP. But I see every time a MOD that gives unfair advantage to a certain VTC in MP. Its black box wrapped allows immunity to collisions, this has an impact on the monetization of either the player or the VTC, since it has no money spent and does not need to resort to the "fix" command. This box makes it advantageous to force track preference, severely colliding, the truck of any player that touches, just a slight maneuver in the steering wheel. The black box is not "bug", it is MOD. Strangely it is allowed in MP. I consider this MOD to be illegal and disloyal. The black box occupies the entire track space. Say, whatever you want. For me it is illegal, this MOD, should be banned, for the game to be fair.